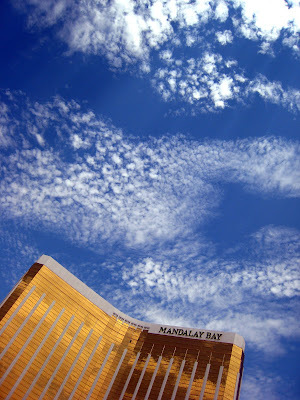 Here's one I took a couple of weeks ago on our trip to Vegas. At the Mandalay Bay we stayed in the largest hotel room I've ever stayed in (it reminded me of the one in Pretty Woman) but I still think that overall I prefer the MGM Grand despite its lack of an inland beach. Isaac fun fact: did you know that there are more hotel rooms at the intersection of Tropicana Ave and The Strip in Las Vegas than there are in the whole of the City of San Francisco?